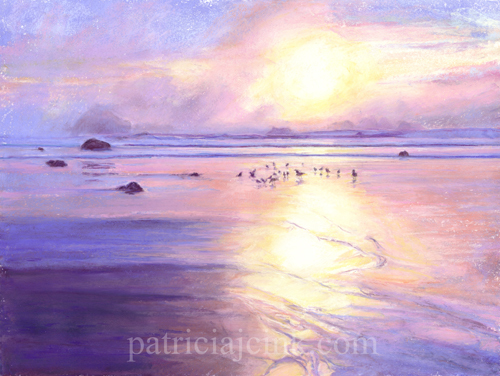 The setting sun blazes over the cloud bank and Kitten Rocks splashing color over the beach. This is a companion painting to Face Rock Dream. 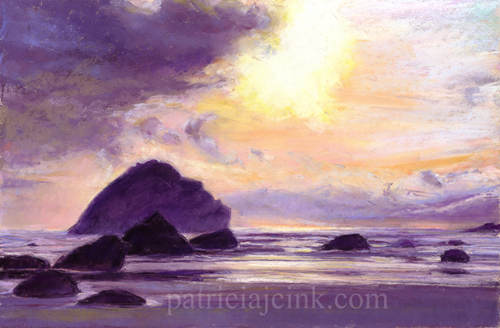 The clouds and setting sun frame Face Rock as if she were dreaming while reclining in the ocean. 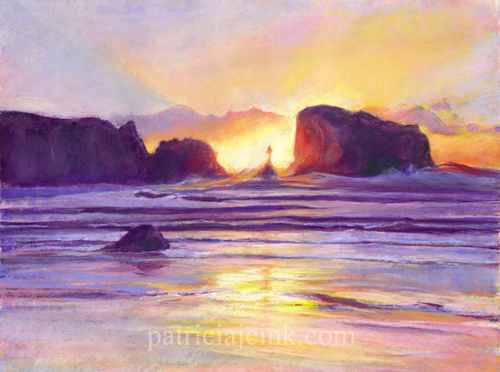 Coquille Point in Bandon, Oregon, is a great place to view Elephant Rock, especially at sunset. 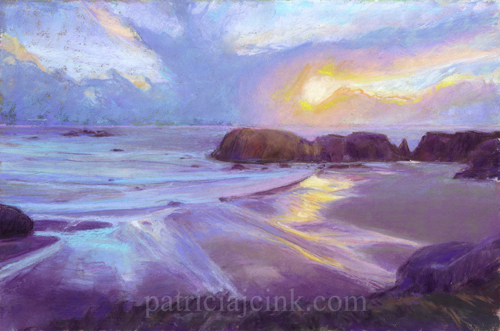 The low clouds block and disperse the sunset colors across the water, rocks and wet beach creating a scene that begs to be painted. It is amazing how little wisps of fog can change a scene by hiding huge structures and throwing light and color around. 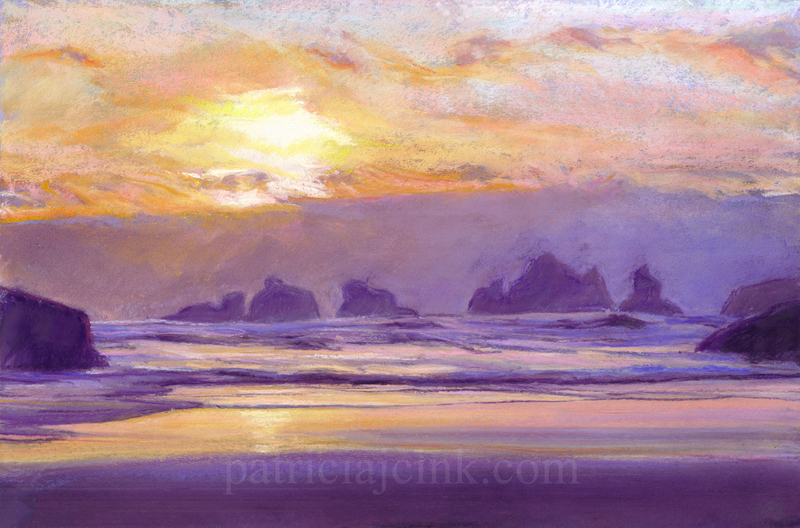 As we were walking Bandon’s beach at sunset, the fog moved across the Kittens and then Face Rock, changing the colors of the sunset and beach reflections. The feeding gulls remained a constant, anchoring the scene. setting much to the left, or more south. making the sky green and gray.